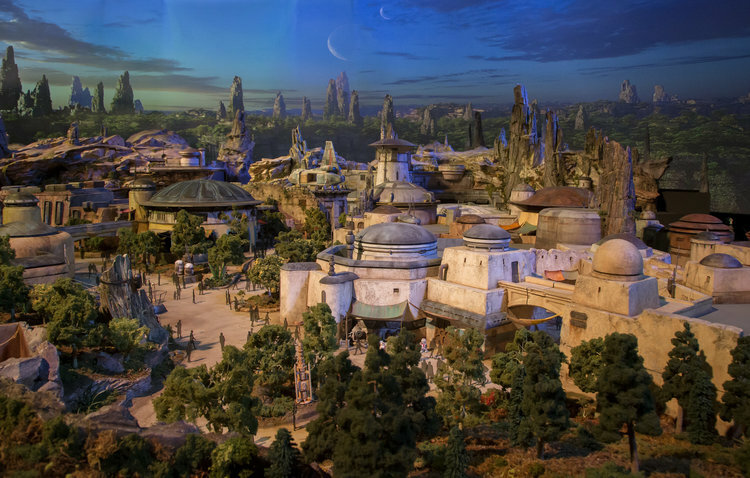 It’s been known simply as “Star Wars Land” since it was first announced, but now the highly anticipated attraction coming to Disneyland and Disney World in 2019 has an official name. Henceforth, it shall be known as Star Wars: Galaxy’s Edge! The name was announced today at the D23 Expo. ***Updated*** to add this fly-through video from Disney Parks. In case you missed it, you can find official images of a detailed model of Star Wars: Galaxy’s Edge here.